Clean Aircraft Save The Planet! Is it really true that clean aircraft can save money and the environment at the same time? Yes, it is! The most efficient and easy way airliners can reduce fuel usage and cost is to maintain clean aircraft. The long-term benefits are striking. Frequent washing minimizes paint damage and corrosion. On top of that, it eases locating leaks and damages and improves the aesthetics of the airplane, enhancing the airlines image. Reduced dirt adhesion is the only flow mechanism that has been proven to reduce fuel burn. Leakage of fluids onto the fuselage of the aircraft is the main cause to surface contamination of dust and dirt. By removing the contamination and cleaning the aircraft, a narrow bodied aircraft can save 2 200 US gal per year and a wide body up to 21 700 US gal a year! The demand for air transportation is rapidly growing. IATA is predicting a duplication until 2035 and if the demand is to be met we must start discussing how to best improve the sustainability in the aviation sector. Why? Because society and customers expect us to take action. Even though the focus towards energy efficiency has increased over the past few years, more needs to be done and there is more money to be saved. Aviation relies on finite planetary resources, such as oil and water. Mean time, a lot of regions and cities such as Hong Kong and Sydney, are suffering from lack of usable water. If the aviation industry is serious about sustainability this is to be taken seriously – we can’t waste another drop. 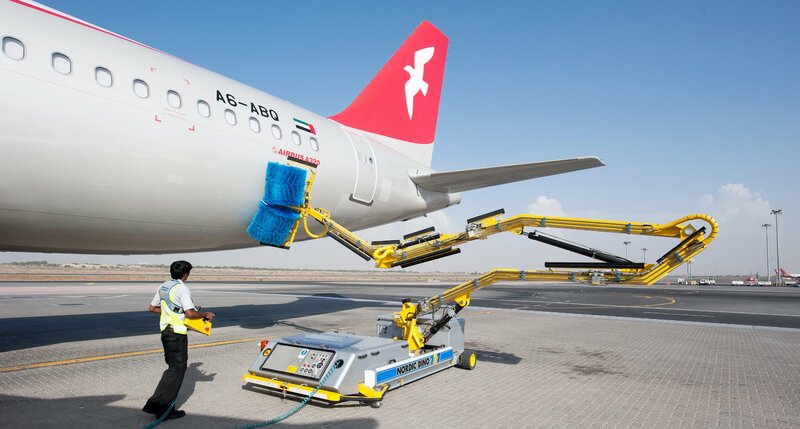 Nordic Dino is a robot for aircraft washing, which besides being electric, makes the cleaning process more efficient with higher quality and reduces both water- and detergent use. Are you with us in reducing fuel consumption in order to save the planet? 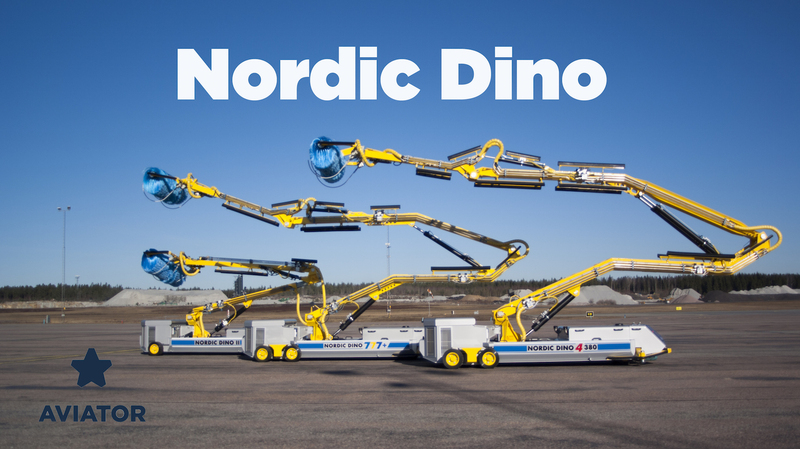 Start now by order a free demonstration of the Nordic Dino!